Published By – Cymande Music Ltd. I bought this one several months ago and still, everytime I listen to it I'm amazed how clear and powerful is the sound of this pressing. Much more likeable than the CD version. Proper pressing of this classic record. Unfortunately I do have a skip on the C-side but still... Love it! I'm more than happy with my pressing. 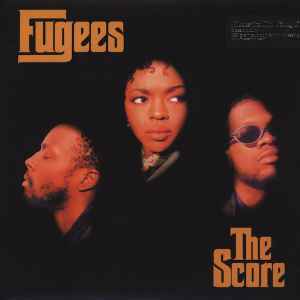 The cracks and pops in some of the tracks are intentional as they're either part of the recording itself (as the Fugees intended) or it's from the original record that they sampled... typical symptom of a classic hip-hop record. The records themselves are very sturdy and feel nice, and is a nice package from Music On Vinyl as usual. I have to agree with other reviews about the cover art - it's very poor and looks really lo-res, as if it was blown up from a smaller copy. The record sounds fine; though the fact a couple of tracks have record surface noise as part of the music is a little confusing! I agree cover art is sub-par, although the pressing itself I can not complain. Not sure which noise you are referring to? Sample Noise? Overall its a classic, turn it up loud and enjoy. Very poor pressing, a lot of noise throughout.